The Clwyd Room is a space where I’ve normally watched stand up comics perform, it’s not one of the actual “theatre” spaces. Tonight it had been transferred into a Lancashire pub, ten round tables had been placed along one wall for people to sit around as though they were sat in a bar watching the regulars come and go. 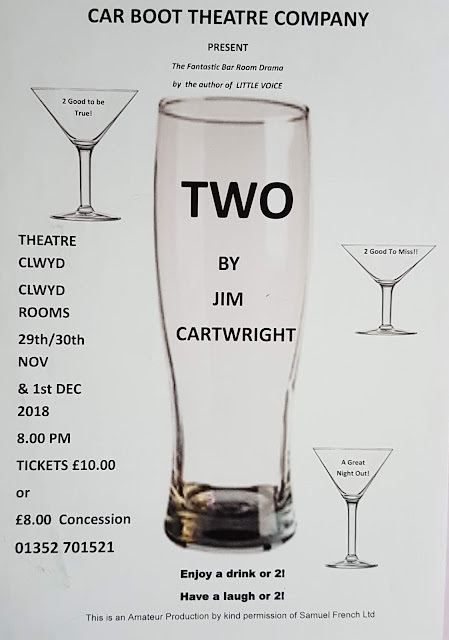 Two is written by the award winning Jim Cartwright who has also given us The Rise and Fall of Little Voice and Road. Immediately you know you’re going to be in for a night of dry wit, broad northern humour and the moving melancholy of ordinary human life as they get mixed together in the boiling put of the traditional British pub; where all forms of human life reside! Two was written in 1989, but a lot of the issues raised are still prevalent in today’s society. Bill Snell and Pam Courtenay play the landlord and landlady at Mr Cinders Cocktail Bar in Car Boot Theatre Company’s production of this emotive play. Car Boot Theatre Company is an amateur touring group who perform largely in theatres and village halls in North Wales. On the whole they tackled the production well, but they didn't quite give justice to Cartwright’s text. The sound of Bonnie Tyler’s “Total Eclipse of the Heart” blares out as we’re transported back to the 1980’s; as the lights go down to Joy Division’s haunting classic “Love Will Tear us Apart” you immediately get the sense that there’s going to be some heartache along the way. The landlord and landlady know all their patrons and make everyone feel welcome, laughing and joking with them, whilst in the background they show nothing but contempt for each other as they switch from bickering and bantering the night away. They might not like all their customers, but they still greet them like an old friend, and this extends to those brave enough in the audience to sit at the tables near the front. (Shy types, beware!) It is through these pieces that Snell and Courtenay do quite well – and I admire anyone that can manage a “conversation” when talking to imagined customers who obviously can not reply! It is this that draws you into their world, which makes you interested in the characters that pop in for a pint, and makes you realise there’s more going on with the landlord and landlady than first noticed. This two-hander play features fourteen other diverse characters, often played by the same two actors in professional productions. In this production, there is an actor to play each character, so they really should be able to become comfortable with the traits of who they are performing as. An old lady shuffles in for her bottle of Guinness, a hush descends as she starts her monologue, lamenting the long years she has served in her marriage, and the quiet respite and solace she finds in having a drink by herself after a days shopping. Gwyneth Dillon’s approach to the character was spot on, but she just spoke too quietly, that coupled with the whirr of a fan behind me meant that much of her emotive speech was lost on the wind. 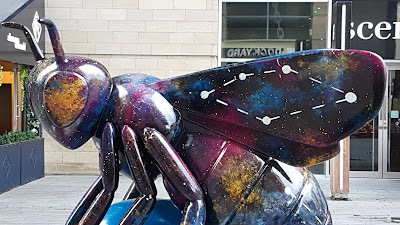 Moth and Maudie were an interesting couple…she hanging around the womanising Moth as he struted around for the ladies in front of her, even getting phone numbers for dates with them! All she wants is for him to marry her so that her life is complete. It showed the contrast of how little she thinks of herself in comparison to how much he loves himself. The tortured souls pass in and out and we uncomfortably shuffle in our seats as Lesley is tortured physically and mentality by her abusive boyfriend Roy. Peter Thorne played Roy well, making us laugh at him at the start and then become more aghast at his domineering behaviour, until shock and repulsion took over. There were lighter moments too, especially the two bobbled hatted customers who just come in to the pub to watch TV and eat crisps – they were an excellent uplifting moment. These little pieces of human life were simple snapshots that etched looking into a mirror at normal human existence. But the play only works if the actors embody the characters. 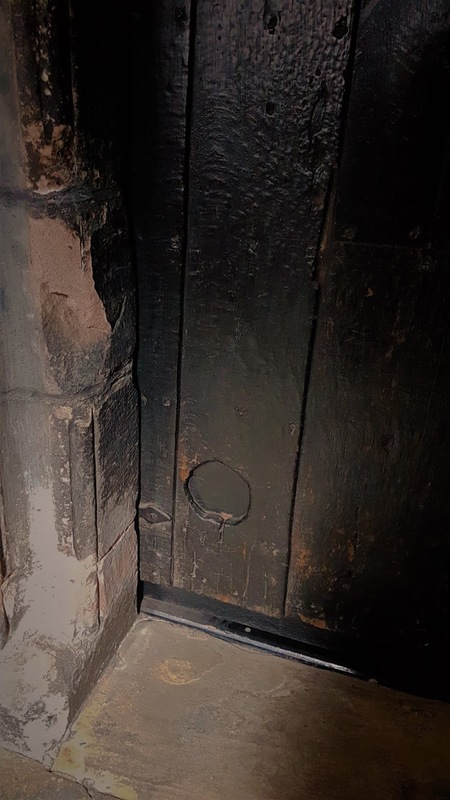 Lines spoken without conviction, stilted deliveries and whispered confessions were all distractive and the power of the underlying story between the landlord and landlady was somehow lost amidst it. I certainly enjoyed my evening, and it brought the play to my attention, so I’ll certainly look out for a professional production in the future. Car Boot Theatre Company should be applauded for the hard work and dedication shown to a difficult piece of theatre, and I was pleased to see that even though the production wasn’t perfect, it didn’t loose its audience at the interval. Something all concerned should be proud of. Q. 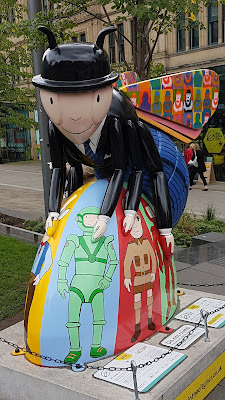 What do Paddington Bear and Tom Burke have in common? After the last night of Don Carlos, I was fortunate to grab a few words with Tom. I told him he’d made me cry. He said, “that’s a good thing isn’t it?” And yes, I must confess that it was. Like a young red wine, Don Carlos had been allowed to breathe into a full-bodied performance. 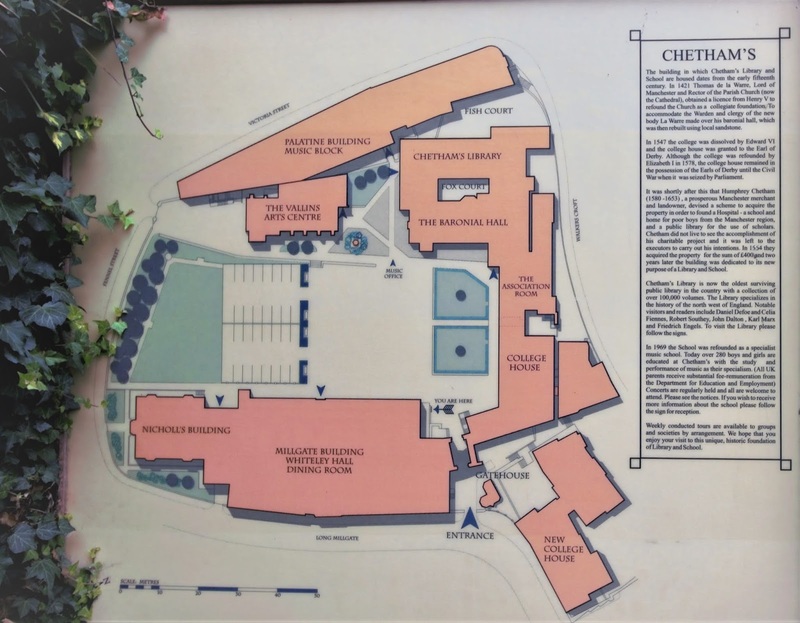 It had become injected full of character, passion, power and emotion that it had sometimes lacked in Exeter. 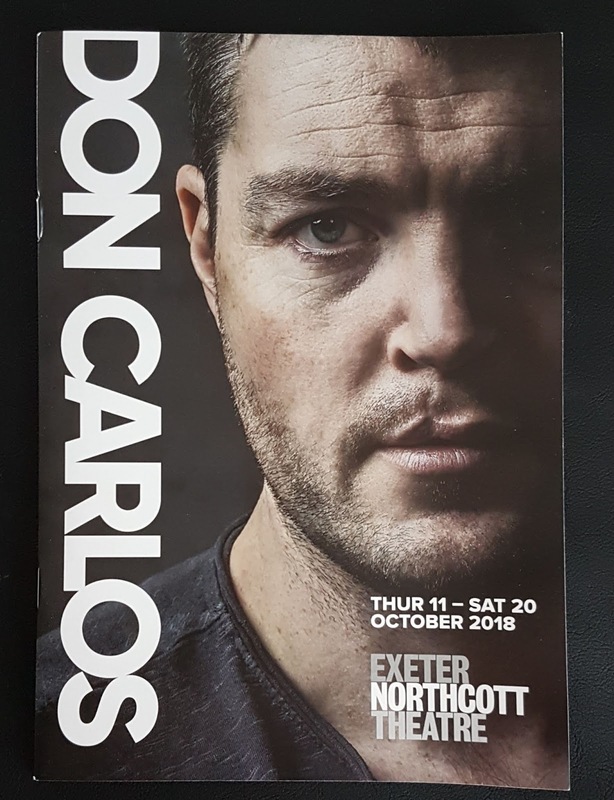 The basis of a fantastic production was there for all to see, (bar the eejit at The Times) and whilst I thoroughly enjoyed it at Exeter, the initial performances were perfectly quaffable, but a bit acidic at times. As I noted in my previous review, the pace of the dialogue was killing some elements of the play. I spoke to Ali about it and begged her not to take offence, but I felt that the scene between her and Sam Valentine as Princess Eboli and Don Carlos in the bed chamber ended up becoming a screaming match as they tried their best to deliver the lines at the fast pace Gadi Roll had directed them to do. If you listened carefully, you could hear all the words, but the subtle nuances of Schiller’s text were lost as too much concentration was being used on what was being said. I used the analogy of when you go for a gallop on a horse and you suddenly realise, you’re no longer in control. A quick check on the reins slows the horse just enough for the exhilarating pace to remain, but for control to come back to the rider. That’s what I felt had happened at Kingston; a slight reduction of pace allowed for the comic situation of two people with their wires crossed to filter through to the audience. It allowed the light and shade of the situation to sweep through the scene, giving the rest of the production a sense of foreboding that had been alluded to in the very first scene by Posa himself! Now that’s how theatre is supposed to make you feel. Saturday was the day of the most exemplary performances of Don Carlos yet, the matinee seemed to have everything thrown at it. I tried to sniffle inconspicuously throughout the second half as Posa made his final speech to the Queen. People who had got bored and went home in the interval missed some of the most enthralling scenes I’ve witnessed on stage. Even reminiscing about them makes me draw breath to compose myself again. The pace that had killed the two handers between the Duke of Alba and Domingo had gone. Both Jason Morrell and Vinta Morgan brought eloquence and power into their performances which was missing every time they turned their backs to the audience in Exeter. Their words had previously been hard to catch, and the role they played in the story was lost, but here in Kingston they were word perfect and the relationship between the two felt more meaningful. Tom Burke’s Posa and & Darrell D’Silva’s King continued to shine. They were powerful and thought-provoking, and I was gripped every time they took command of that stage together. So much so, that when it came to the final curtain call, I had to give the cast a standing ovation. For me a standing ovation is a rare thing, it’s like when Craig Revel Horwood dusts off his 10 paddle on Strictly Come Dancing! This was a brave and ultimately brilliant production. I may have given it a Len Goodman 7 at the start of the run, but its emotional climax was worthy of a 10. I think ARA set themselves up with a complex piece for their stage debut, but the hard work and determination of a strong cast has heralded an exciting future for the theatre company which I’m looking forward to seeing grow. I ended up seeing the play four times in Kingston. In hindsight, had I not originally been part of a group going to see the play, I would probably have only gone to watch it on the Saturday, but I’m pleased I did watch it when I did, as each night led to a different experience. 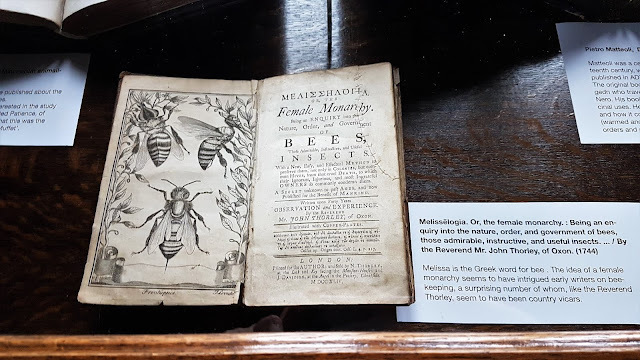 The extra time in Kingston also allowed me to explore the area and broaden my horizons with a visit to the local museum and a day out at Hampton Court Palace. My Thursday night at the theatre I wouldn’t wish on anyone, but I will relay what happened on here as a word of warning to other theatre goers, as I suspect most of us feel drama only happens on the theatre stage! Despite it being November, it was still cardigan weather, so I just chucked my purse, phone and book into my cardi pockets and headed to the theatre. I wrapped everything into a ball and placed my cardi under my seat. During the performance, the ladies sat behind me started talking (loudly.) People were shushing them, but they persisted. At times, when the actors were on stage, they sighed loudly and said “boring” at the tops of their voices. I was surprised that the actors did not flinch, and that shows the level of professionalism they displayed to be able to continue. At one point, the woman behind me started stroking my back. I jumped from my seat, gave her daggers and carried on watching the play. There was a loud crash and more shushing, and eventually we came to the interval. They got up and left. I then realised they’d left with my cardi and all my belongings. As I pinned both women at the door of the taxi I screamed “where are my things?” but they denied everything, even when I grabbed my cardigan out of one of the women’s hands. The pockets were empty, and as they stood looking at me stunned, I continued to demand all my stuff back. I presume people thought I had the matter in hand or they were just too damned scared of the bad tempered woman hurling abuse at these drunken thieves. Because that’s what they were, either that or drugs, whatever…they clearly weren’t on the same planet as me. I retrieved half of my belongings off one woman and half off the other. Both still maintaining innocence, despite me describing my stuff to the theatre lady and then pulling it out of their handbags myself. 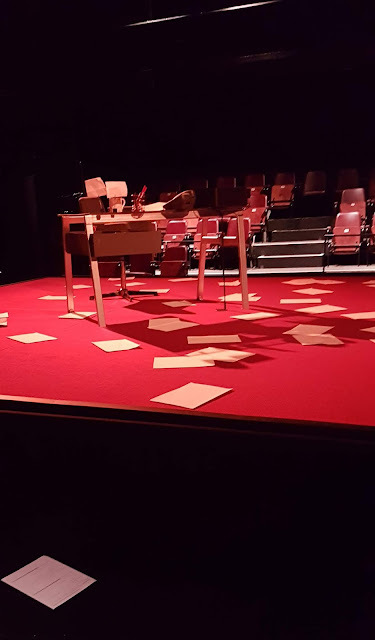 I perhaps should have dragged them both to the police station opposite the theatre (yes really) but I couldn’t see that would achieve much, other than me missing the second half of the play…so I collected all my stuff and returned to my seat. 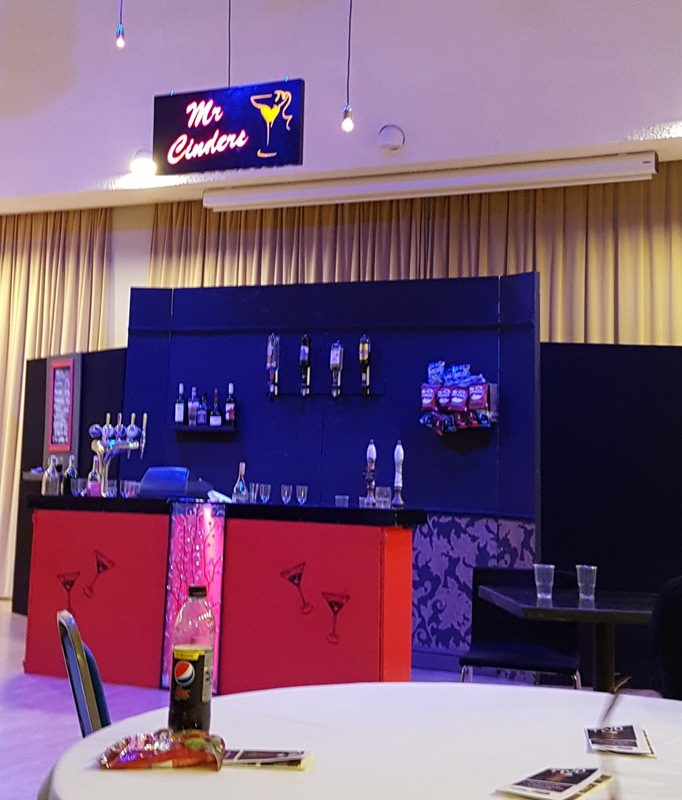 I offered to buy the chaps who had helped me a drink at the end of the show, not realising the bar would be shut afterwards…but I suppose it’s the thought that counts! Someone said to me “they chose the wrong person to pick on there” and I agreed, but actually, I think they chose the right person; imagine if they’d done that to one of the older members of the audience. I’ve had to learn to stand up for myself. If I ever tried the “woe is me” technique of guilting empathy out of someone it always backfired; I was told to pull myself together, and I suppose that gave me the backbone to be the intolerant, bloody-minded person I am today! 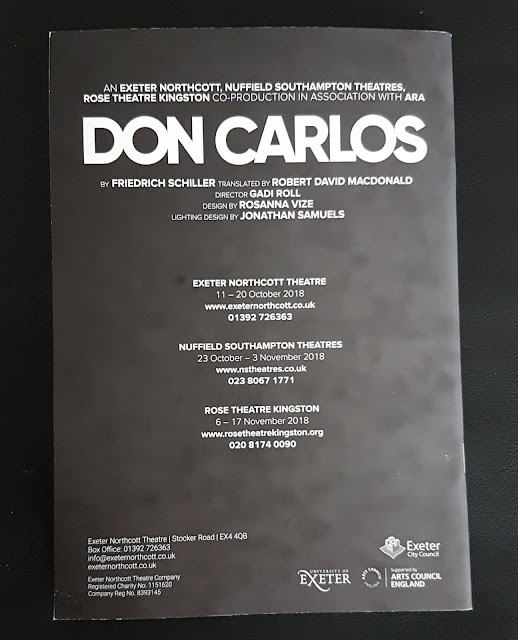 The second half of Don Carlos was enjoyable, but I probably wasn’t in the right frame of mind to get the most out of what I was seeing. 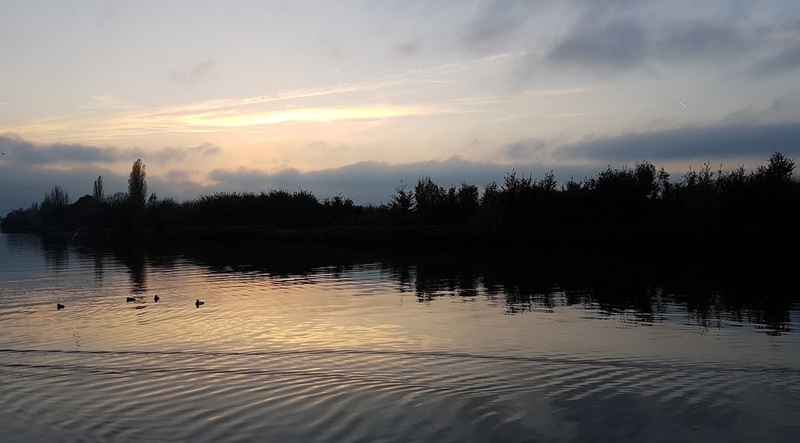 I looked forward to heading back to the peace and tranquillity of my hotel room, getting an early night and walking to Hampton Court Palace the next morning. Tom Burke has done more for my education than school ever did! A dreary day…not good for photography, but nevertheless Hampton Court was on my agenda and it was staying that way. 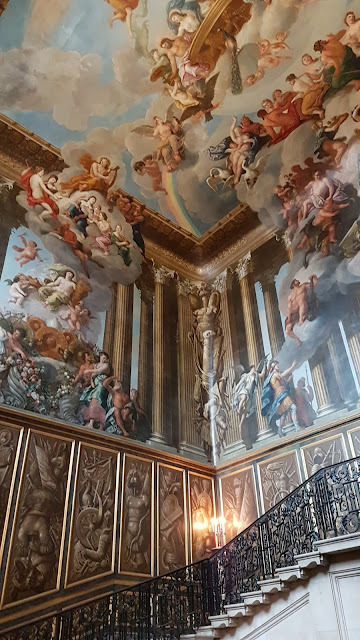 I walked via the road route and enjoyed a pleasant day taking in the enormity of the palace and the beauty of the rooms (the Chapel Royal took my breath away) and imagining what it must be like in Spring and Summer when the gardens are in full bloom. 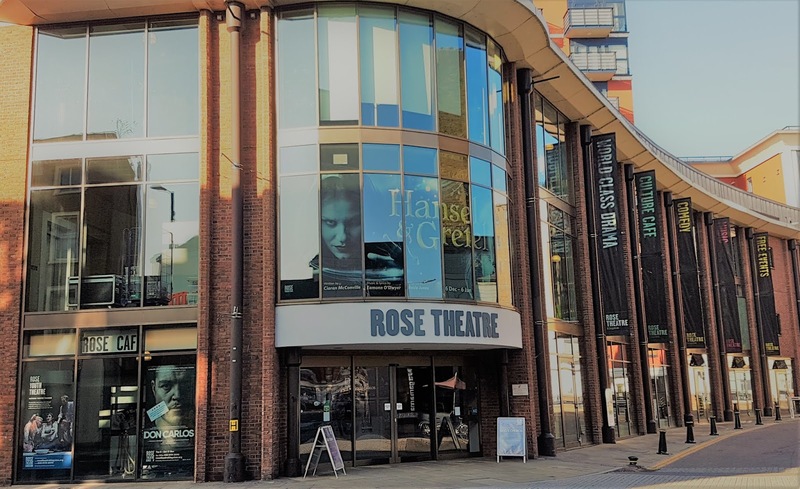 It is a place to go back to, so I will have to keep an eye on what productions will be on at The Rose to lure me back to Kingston! As dusk began to fall, I decided to walk back via the path beside the River Thames. As I pootled along, I could hear the voices of friends telling me I was an idiot, and I probably was, but fear of the unknown shouldn’t put you off doing the things you want to do, just keep vigilant when you do so. (Says the woman who was robbed the night before!) So I watched the sun go down and the lights of Kingston come on as I negotiated the muddy puddles on the footpath, before heading back to the hotel for a quick change before walking down to the theatre and being handed my ticket for that night’s performance. As I watched the show on Friday night and considered the various themes, thoughts started to crystallise in my mind. Not only did themes echo down the centuries to modern day political situations, but some of the lines uttered made me think of how my relationship and trust in the people surrounding me had also begun to change. This quote from Tom Burke in Time & Leisure Magazine (Kingston Ed) particularly resonated “It’s a unique balance of many things, including idealism and cynicism. It has a beautiful humanistic heartbeat running through it but the story is ultimately a brutal one. It takes a long hard look at a paranoid, desensitised, ego-driven leader.” I continued to think about this as I bade those going to the pub goodnight and I continued back to my hotel. Saturday was a beautiful sunny day, perfect for photo’s, only today I was looking at them rather than taking them! 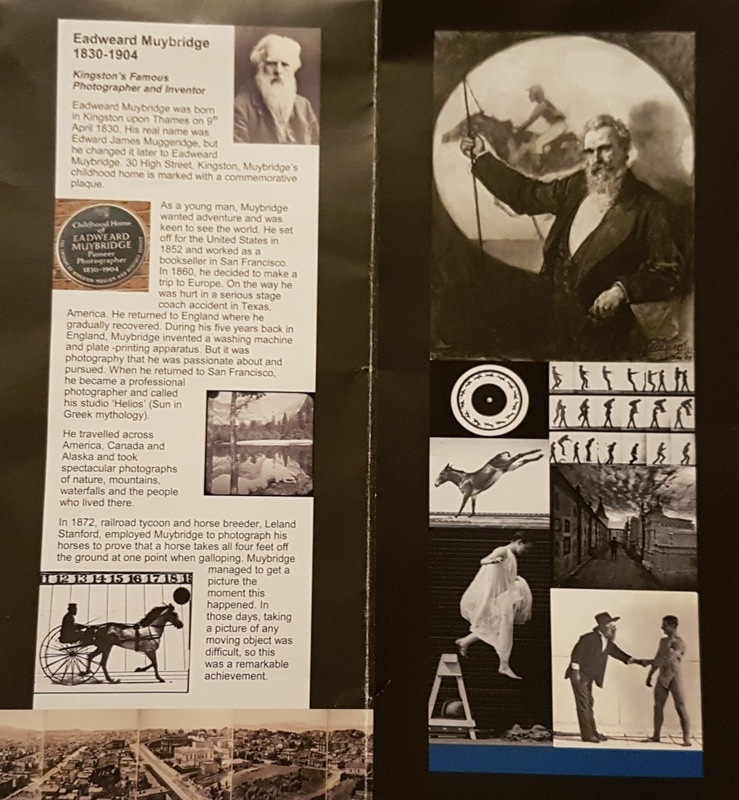 Across the road from my hotel was Kingston Museum – as a child my horse books all showed photographs of the horses gaits; walk, trot, canter, gallop – how the horses feet hit the ground during each transition, to enable (in theory) a better rider. What I didn’t know, was that the man behind the pictures was from Kingston. 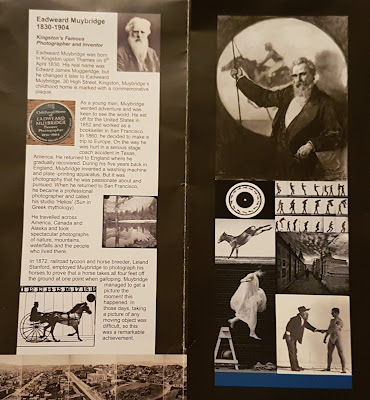 The museum has a wing dedicated to Eadweard Muybridge (1830- 1904) a pioneer in photography and the inventor of the zoopraxiscope (a projector which held a glass disc on which Muybridge’s photographs of horses were traced and painted around the edge.) As the disc spun, it showed how the horse moved, answering the question as to whether all four feet of a horse are ever off the ground at the same time. 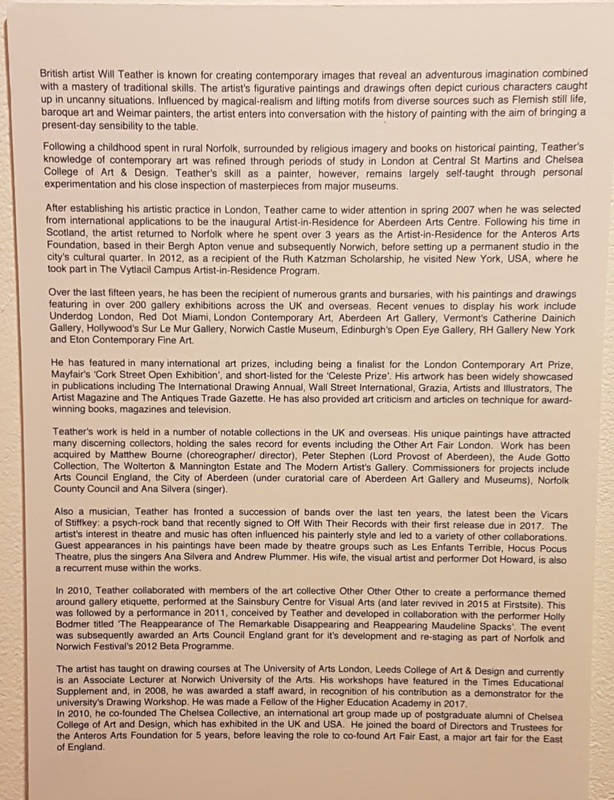 It was a fascinating exhibition for someone like me who had grown up with these images but knew nothing about the man behind them! Now people might laugh at me when I say that Tom Burke has done a damned site more for my education than school or university ever did…but indirectly, he somehow enables these strange coincidences to occur! Just like Uncle Bulgaria I’m behind “The Times.” (Only people of a certain vintage will get that!) I’ve just realised that Emma Rice’s production of Wise Children is going on tour next year. I’m thankful for this as I wanted to see it at The Old Vic in London but I’m watching the pennies and couldn’t really justify the trip. So, Storeyhouse in Chester it is. A ticket has been purchased and I’m thrilled to see Angela Carter’s last novel brought to stage by the innovative director, Emma Rice. So, who is Angela Carter? 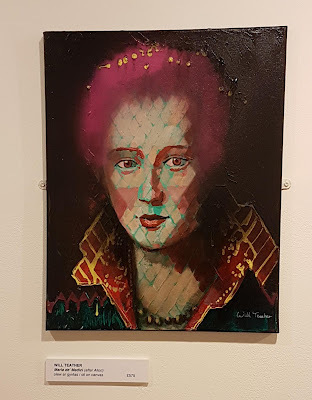 I recorded a BBC documentary about her recently; one of Britain’s greatest writers, she was an independent-minded woman, outspoken and challenging of the authorities. If you can find a copy of it, I recommend watching it. She was born in Sussex in 1940 and read English at Bristol university. She had a prolific writing career and all multi-layered tales, which were quirky and sometimes vulgar in style, were highly thought of and received critical acclaim. She died of lung cancer in 1992, aged just 51. 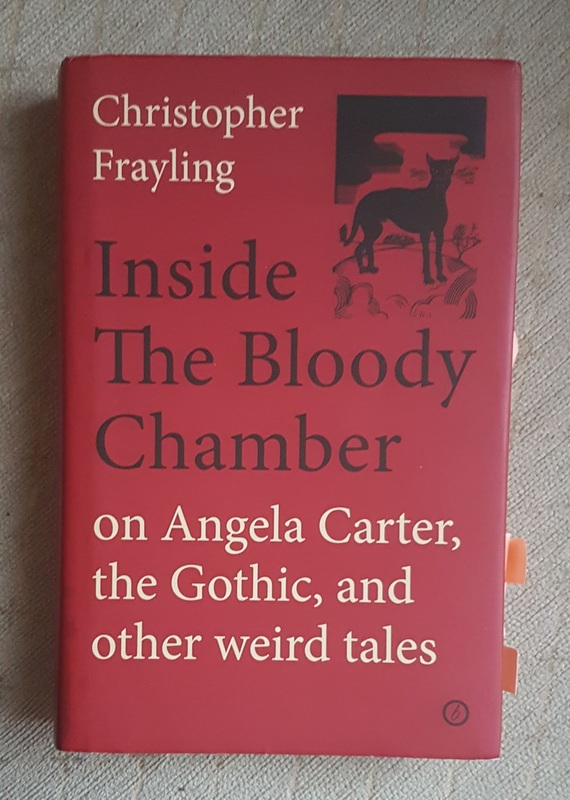 Christopher Frayling, historian and broadcaster, was a close friend of Angela Carter, and throughout the pages of this book that friendship is documented via both Carter’s literary works and personal correspondence with Frayling from the time she was living in Bath in the 1970s. It was during this time that she wrote many of her important literary works, The Sadeian Woman, The Passion of New Eve and The Bloody Chamber, from which the book gets its title. 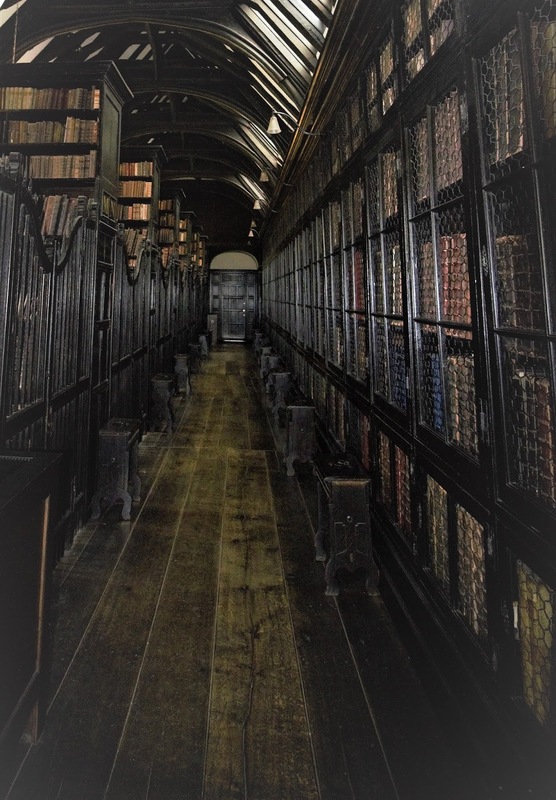 The book is a collection of essay’s, articles and lectures which mirror many of the stories within The Bloody Chamber and cover all sorts of topics, from Hitchcock and Hammer horror films, Freud, Disney, The Hound of the Baskervilles and of course, vampires! 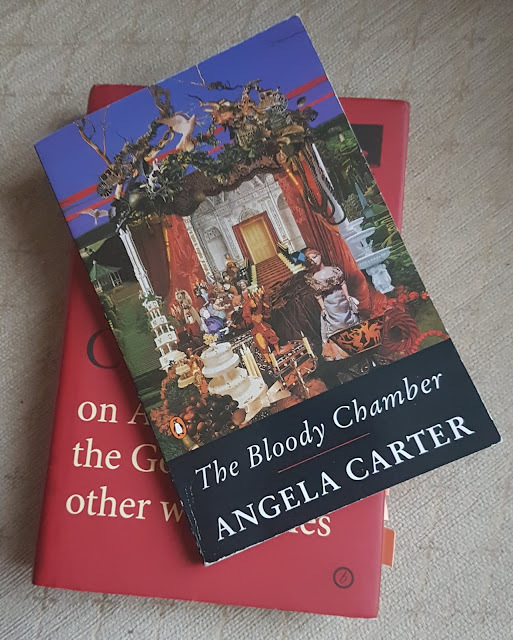 It gives wonderful insight into the mind of Angela Carter, but also that of the horror story. Disney’s version of Snow White is well known all over the globe, but the tale was based on Snowdrop, translated by the Brothers Grimm (published 1823) which was a darker and more sadistic tale than Disney’s saccharine portrayal of a princess and her helpers. 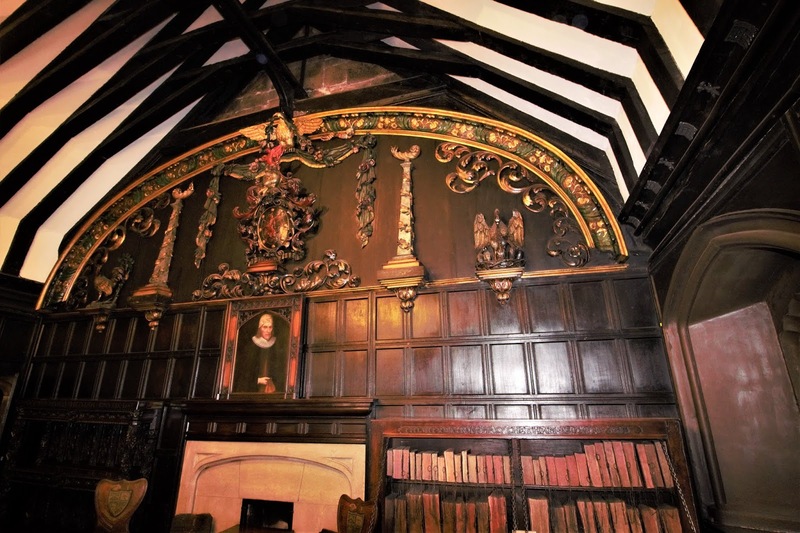 It is these investigations into tales and back stories, alongside the beautiful woodcut prints scattered amongst the text, which make this an appealing book for all lovers of the Gothic. Beauty and broken promises can destroy the life of the heartbroken Mr Lyon, whilst a game of cards changes the fortune of beast and betrothed. If you thought your cat was just a sleepy companion then you are wrong… “So may all your wives, if you need them, be rich and pretty; and all your husbands, if you want them, be young and virile; and all your cats as wily, perspicacious and resourceful as: PUSS-IN-BOOTS.” Never trust the smile on a sleeping feline. These tales create a unique world of fantasy and show a writer with great imagination that the imperious reader may take instant dislike to. They break the chains of the righteous and have a dynamic energy because of that. So, what will Emma Rice bring to the stage in Wise Children, Carter’s final novel? It is a tale about twins Dora and Nora Chance. It is Shakespeare’s birthday, it is also their 75th birthday, and in a bizarre coincidence it is the 100th birthday of their father and his twin brother. The tale could be heralded as Dora’s memoirs as she looks back through her life, to when her father was a prolific Shakespearean actor, who didn’t publicly acknowledge his daughters; instead the world believed they were the offspring of his brother instead. Reviews at The Old Vic have been well received, saying it is a night of magic and stardust. I’ll get back to you about that, in March, after I’ve had a chance to watch it for myself! After I had watched Don Carlos for the first time, I told Tom Burke how much I had enjoyed the play and in particular the work of Friedrich Schiller. I was glad he had introduced me to his work. It was a revelation to me, not only reading Schiller’s plays, but also the Aesthetical Essays of Frederich Schiller, the Philosophical Letters of Frederich Schiller; his short stories and poetical works which all promoted the ideals of Enlightenment – to celebrate the beauty of life, and to oppose all forms of tyranny. I confessed to loving Schiller, and further confessed that I wasn’t overly fond of another popular playwright. I have seen, and continue to see his work, but it never fills me with the same ebullience as Schiller does. It was then that Tom told me what ARA’s next project would be. I was desperately hoping he was working on something else, but said nothing, just smiled and laughed that I was sure I would enjoy it. What I really wanted to say was “WHHHAAATTTT? You’ve set up your own theatre company! You could do anything you wanted! You could perform Howard Barker plays but you’re going to do what EVERY theatre company under the sun does!” But I kept quiet, it’s not my place to dictate what he does and I’m sure he is doing what he wants, it just doesn’t fit into my bucket list of plays that I want Tom to do – but that’s my problem, not his! I’m sure Tom and Gadi will apply a suitable twist to their next venture that will make me enjoy the production. YESSSSS! There is a God after all, I just hope the reporter got that bit right! After all, it’s Tom’s fault I became a fan of Barker in the first place. Just like Schiller, I hadn’t heard of Barker, but about three years ago I had the bright idea of reading the plays that Tom had done earlier in his career. I remember being in Prague, in the “chicken tea room” reading Gertrude The Cry. I was happily absorbed in the book when I suddenly realised that not only does Barker liberally uses the word c**t, but his language is often very coarse. Now this doesn’t bother me…or I thought it didn’t…but it suddenly occurred to me as another flask of hot water appeared on the table beside me, that often the coarsest of lines are written in capital letters and seem to leap off the page! Now, if you don’t read the passages in context, they can seem a little, erm…extreme?! “OMG what must people think I’m reading?” I thought in horror as I shuffled round the table to a lower, squashier chair where no-one could read over my shoulder! Despite this overwhelming moment of self-consciousness, I finished Gertrude and started on Scenes from an Execution. Set in Venice, I was hooked right from the start, (there are posts throughout the blog on those book reviews,) and there in Prague, over a pot of green tea in an old saggy chair, my love for Barker began. When I returned home I visited the internet and found Oberon books had published several volumes of his collected plays. I bought Plays One which contained Scenes From An Execution which I read again, and three further plays, Victory (an ethical voyage of a widow during the English Civil War) The Europeans (An Islamic woman fighting for her identity) and The Possibilities (a series of short, disturbing moral dilemmas). The plays were challenging to read as they had some disturbing, moralistic questions to consider; and that’s what I enjoyed…the ambiguity. I didn’t feel that Barker was trying to tell me what to think, I felt as though he was telling me I was allowed to think. And I think that is why I don’t like some texts and some playwrights. Too many lecturers have torn apart great pieces of literature for me, telling me what the answer is. The lecturers were right. I was wrong. You could think for yourself, but only if you came up with the right answer…and I always found that difficult, because I view literature and the theatre like any other piece of art. It should be subjective, it should speak to you as an individual. But then, I’ve had art teachers who have told me my perceptions of paintings are wrong too! I’ve just finished reading Barker’s “Arguments for a Theatre.” It appears to be a timely choice of text. The book contains a series of essays, poems and Barker’s thoughts about theatre and it is a book I’ve dipped in and out of over the last couple of months. It’s interesting because whilst he discusses his work, he still keeps a high level of ambiguity about the nature of each play he cares to discuss, it is for the audience to deliver their own judgement. His plays are unconventional, they are intellectually stimulating and I realised this most profoundly after seeing In the Depths of Dead Love. 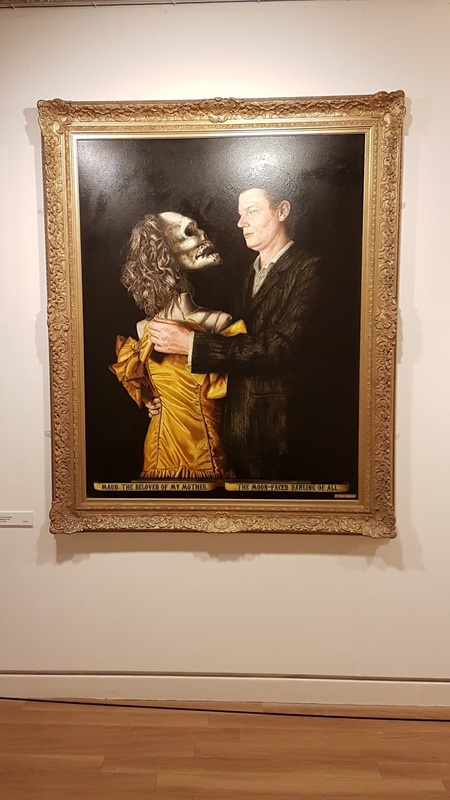 My friend Nikki is also an ardent Barker lover and she noticed that a Barker play was being performed in London. 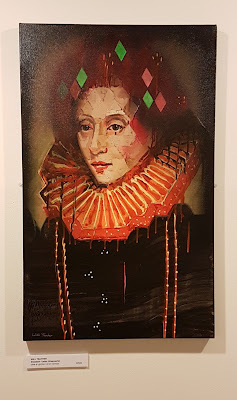 Finding a Barker play is like finding the proverbial needle in a haystack, but find it we did in a quirky theatre, The Print Room @ The Coronet. After buying a couple of beers from behind a piano (???!!!) we sat down on a double bed that was in the centre of the “bar” area. A couple of chaps came over and sat with us and told us they would probably only stay until the interval…this was after all a Barker play. It was doubtful they could stomach a whole evening of it. But stomach it they did because we saw them leave at the end of the show and so we ribbed them about it. We then had a short but enjoyable conversation about the play, which was interesting because Barker has been quoted that in writing a play, it “is immune to discussion…eliminate debate…replaces arguments.” (pg 75 3rd ed) Here, there were four people discussing the play, but not in the conventional sense. No-one was trying to correct each other. No-one was trying to prove they understood what was going on. Instead four people were divided in their opinions, not only within the group, but also within themselves as thought processes contradicted themselves. It is interesting that the British press are dismissive about Barker, they see him as nihilistic and unorthodox, writing obscure plays that serve to make the audience feel uncomfortable. 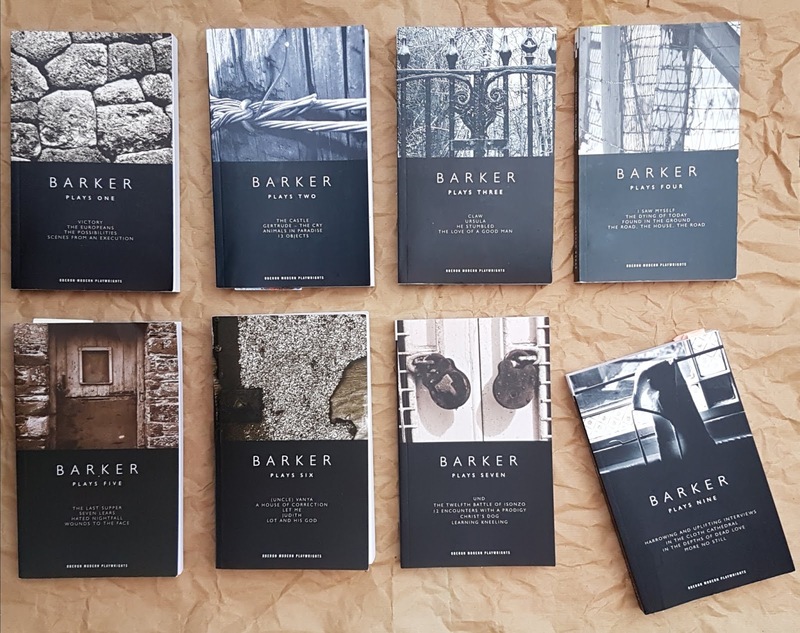 Barker is the Yin to the Yang of the safe, fun, humanistic theatre that audiences are more familiar with. They don’t want to recoil in horror at human nature, audiences want to be entertained not disturbed, they don’t want to face the immorality of the human condition. I think that’s why I enjoy reading Barker and why I would like to see more of his work staged. We all like to think of ourselves as nice people, but we’re not. Even the nicest people will hang their friends out to dry if it means them getting what they want…it’s just that some people abhor the thought of facing their true selves. 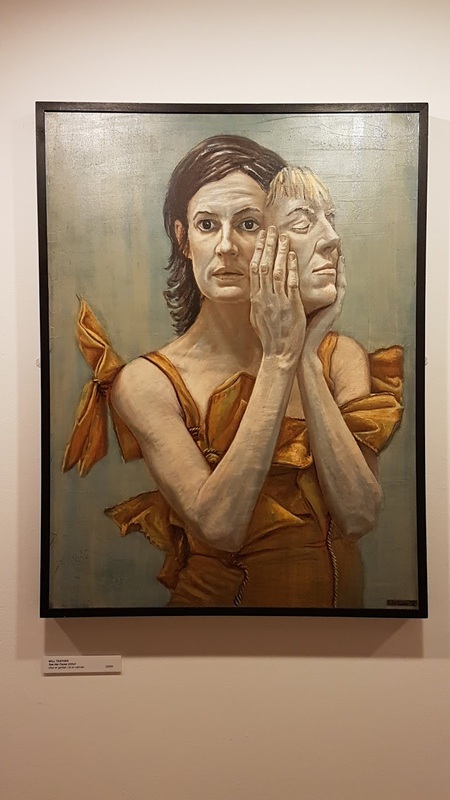 It is much easier to lie to yourself, it is harder to be honest to yourself and those around you, and therefore to watch safe theatre is preferable to coming face to face with yourself in a Howard Barker text. 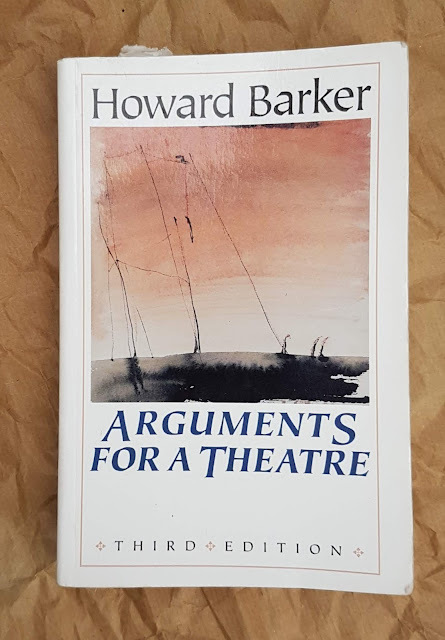 Arguments for a Theatre is an articulate look at the reception of Barker’s work, each essay a thought-provoking piece for all theatre lovers to sit and ponder. 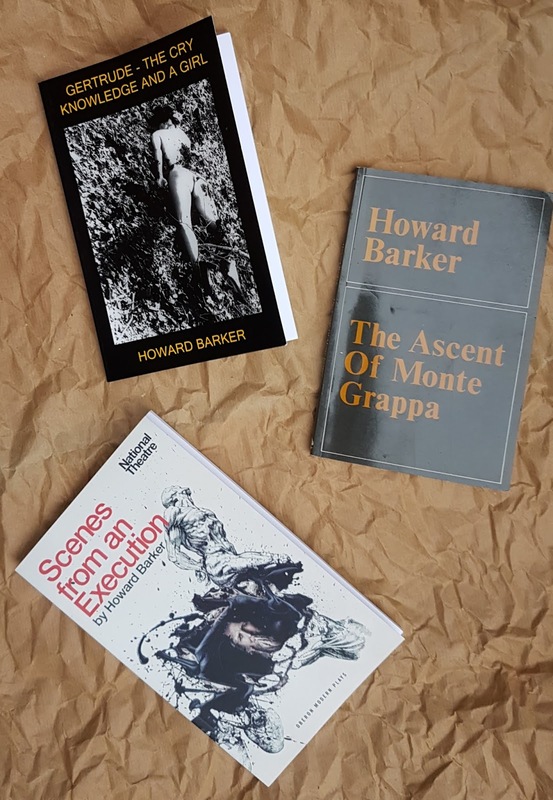 Barker is quite clear about our culture who does not know what to do with his work, and that probably explains why he writes the plays that he does. On language in drama (pg 29 3rd ed) he explains the use of his “obscene” language with considered logic which shows why it works in his dramas, why it isn’t offensive. He sees theatre as an art form, and in view of my own thoughts on theatre, maybe that’s why I feel an affinity with his work. 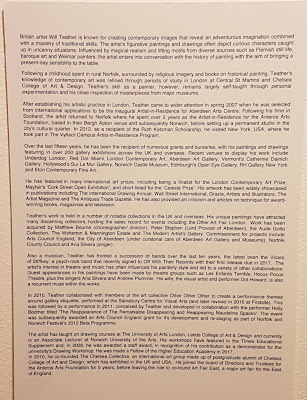 I see Howard Barker as an exhibitor in Tate Modern rather than The National Gallery. You know where you are with a Monet, or Constable; they are safe works, understandable, you can see what the artist hopes to achieve. Take the safe confines away though, and people start to struggle with art. A cow in formaldehyde, is that art? Until I witnessed it for myself I thought it was a horrific idea, but standing there, actually facing it up close, I witnessed an inner beauty to the exhibit and various thought processes tore through me. I don’t eat meat, I should hate it, it was a waste of life…but was it? This cow would never grow old – it’s beauty and innocence preserved for ever. It was a difficult exhibit to witness, but I was more open minded having seen it and rather annoyed with people who haven’t seen it telling me I was wrong to like it. Let’s take an easy example of art in a simplistic form. I used this analogy at Don Carlos when we were discussing our opinions of the play v’s the terrible reviews in the days newspapers. There’s a pile of bricks in an exhibition area and how four people look at the same pile of bricks with differing opinions. Which of these people are in the right? All of their opinions are valid. Even person number four. They want to educate themselves, but they also don’t want to appear stupid in case their gut feeling is not the same as the person next to them. This only falls down when they speak to someone who does speak from the heart (or gut) and they pompously tell them they’re wrong – they know what the artist was thinking. If it was down to me, I wouldn’t have artists notes, the work should speak for itself – we shouldn’t need detailed explanations as to what thought process was going on when the work was created. And that brings us back nicely to Schiller…in his various letters and essays he explained his work to a non-understanding audience. A shame really…much better to watch and draw your own conclusions. In the last twelve months, I‘ve noticed that my theatre trips to London have decreased, and my trips to Theatr Clwyd have increased. A lot of this has to do with the work of Tamara Harvey and Liam Evans-Ford who have helped to reignite the theatre. 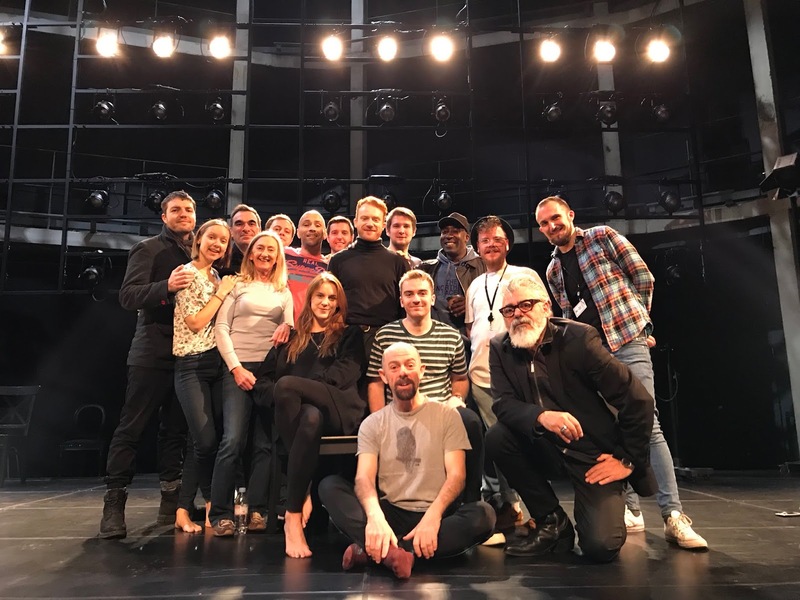 They have been instrumental in bringing new theatre experiences to the region with headline productions such as “The Assassination of Katie Hopkins” and “Home I’m Darling” a co-production with The National Theatre. I was lucky enough to go to a Q&A session after watching Home I'm Darling. I loved it when I heard that the chap from The National had visited, taken one look at the set and remarked he could never have afforded to build that type of set back in London. What many people don’t realise about Theatr Clwyd, is that when it opened in the 70’s, (& through to the mid 80’s,) it housed a TV studio and was home to HTV Wales. It was meant to be a Regional Arts Centre and therefore it had facilities to make costumes and build its own sets. Whilst the 1400 seat concert hall never came to fruition, the Theatr Clwyd we see today houses a cinema, a gift shop selling local arts and crafts, a bistro restaurant, art galleries and four live performance venues. It is also one of the few remaining theatres which still make their own sets and costumes. Not bad for a little town in North Wales! Thick as Thieves is a new drama by Katherine Chandler and co-produced by Theatr Clwyd and Clean Break theatre company. Clean Break was founded by two women prisoners in 1979. They wanted to create stories that women could relate to and that audiences would find thought-provoking about the injustices women face in the criminal justice system. A meeting between Roisin McBrinn (Clean Break) and Tamara Harvey (Theatr Clwyd) led to a discussion about there being no prisons in Wales for women. A super prison was being built in Wrexham, not too far from Theatr Clwyd, but again, that would not take women prisoners. Women from South Wales are usually taken to HMP Eastwood Park in Gloucestershire and women from North Wales go to HMP Styal in Cheshire. 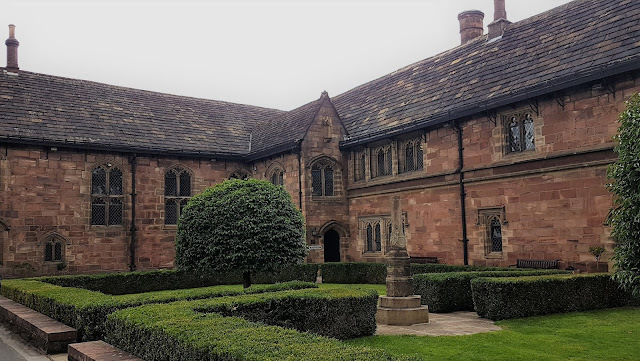 As an average, Mold to Styal is approximately 3 hours away via public transport. 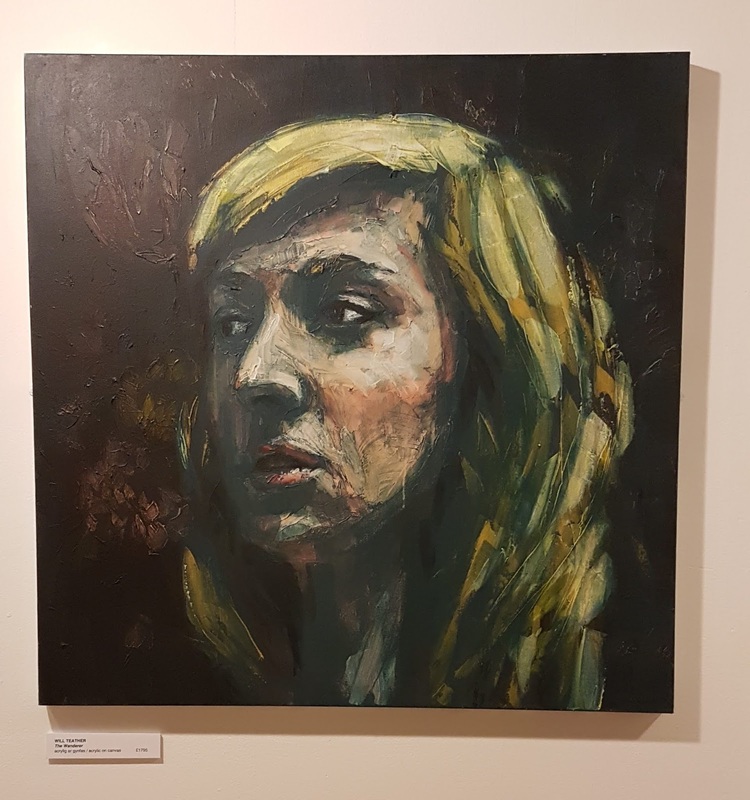 Swansea to Eastwood Park is about 4 hours – but for those living further into Wales, those journeys could be much longer for visitors to take, therefore having a negative impact on women prisoners lives which men in the same position would not suffer. 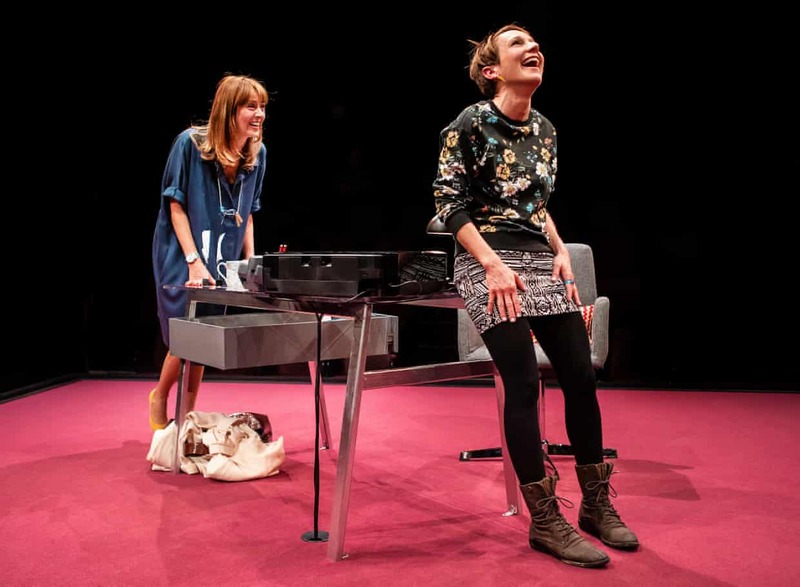 It was from that meeting that a new play was commissioned by Wales’ leading female playwright Kath Chandler. It is hard to say too much about the plot without spoiling the dramatic climax of the piece in this double hander between Gail (Polly Frame) and Karen (Siwan Morris). The two characters grew up together, but Karen rejected her old life, and is now known as Kate to her husband, friends and family. Gail turning up to her office makes her reflect on her past and shows the different pathways the two women have taken. Kate is a successful business woman, working in the care system, Gail has turned up at her office in desperate need of help. The stage is in the middle of the Emlyn Williams Theatre, with seating on all four sides. On the stage is an office desk, chair and some personal items laid out on the desk. This stark, simple staging allows you to focus on the dialogue between the two women, and the clever tilting action mirrors the shift in power between the two women as their story evolves. The central staging makes it personal, you are not just watching the women, you are involved in their story. How do they know each other? Why does Karen want Gail out of the office? Is Gail dangerous? She certainly seems to know a lot about Karen and her family. This simplicity works so well, because you start to think about how you would react in the same situation. At the start of the play, you feel a bit uncomfortable when Gail and Karen first meet. It’s an awkward situation, and the pauses between the two actresses make it feel like a bit of a car crash (in a good way!) with neither party really knowing what to say to each other. What do you say to someone you grew up with but haven’t seen in years?! More importantly, WHY haven’t they seen each other? You hang on to every word that is spoken to see how this story is going to pan out. This tension is kept throughout, the play only has a running time of 1 hour 20 mins, so there is no need for an interval. An interval would completely kill the power of the play. Katherine Chandler cleverly weaved a number of different issues into the play, including the difficulties women face as mother’s and the great class divide and what experiences being of a different class bring to women’s daily issues; childcare, working, juggling the demands of people’s expectations. This is a tense, gritty and poignant piece of theatre and a fabulous insight into the lives of two very different women who are forced to face their past. The chemistry between the two leads is electric, and at times you wanted to laugh with them, other times cry with them as you realised what the horrific impact of events in their childhood must have had on them. Yet another insightful production at Theatr Clwyd. Something I love about this theatre, is that there are always art exhibitions in the galleries to look at if you have a bit of time to kill before a show. Even when I have someone with me I drag them around, rather than sitting in the bar, as it’s my little preshow ritual! 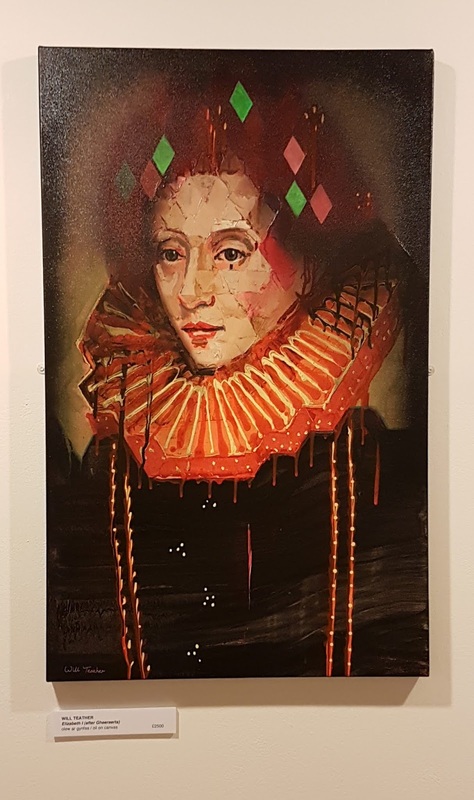 I was captivated by the work of the Norfolk based artist Will Teather. I loved the imaginative, dark, almost gothic imagery, and they seemed a perfect exhibit to be looking at as Halloween approaches! I might not be able to afford his work…but I could certainly appreciate it, so I went for a second viewing after the play ended! Here are some of my favourite pictures. Don Carlos is a bit of a Marmite production. There are those that love it and what Tom Burke is trying to create with his new theatre company, and then there are those who hate it “bombastic and punishingly dull,” The Times. Having heard Tom Burke promise a new way of looking at theatre, to watch something stripped back to the text and not reliant on fancy costume or theatre sets, I was excited to watch Don Carlos. I was especially pleased that the MacDonald translation had been chosen, as I have picked up various versions of Schiller’s work and find the MacDonald translations beautifully written. Don Carlos is originally a five act play by Friedrich Schiller and set in 16th Century Spain around the time of the insidious Spanish Inquisition. The play is loosely based on historical events under the reign of King Phillip II of Spain. The heir to the throne, Don Carlos, was once betrothed to his childhood friend Elizabeth of Valois and he is still deeply in love with her, however, following her political marriage to Phillip she has become his stepmother! During Phillip’s rein, the Inquisition persecuted all suspected heretics. Rebellions were suppressed, especially in the Low Countries, and the menacing presence of the Catholic Church was felt all around. In Schiller’s version of events, Don Carlos feels imprisoned between his unrequited love for his stepmother and his hatred for his father, so to help bring him out of his melancholy, he entrusts his closest friend, Rodrigo, Marquis of Posa, with his secret about his love for Elizabeth. Rodrigo has just returned from Flanders, and whilst Carlos wants him to set up a meeting with his mother so he can proclaim his love for her, Rodrigo sees this as an opportunity to conjure up a rebellion against Phillip’s tyrannical regime. Don Carlos could be considered a superficial play about one man, so caught up with his own problems, that he lacks the foresight to see the world around him. But this isn’t just a family tragedy panning out. Schiller has looked at history and man’s struggle against the oppression of religion and the need for tolerance and humanity. When you consider the current troubles in Syria and across the globe, the message is still one that is relevant today. Samuel Valentine plays the titular role, but it is Tom Burke as Roderigo, Marquis of Posa who stands out. Posa is the prominent character, the man who has a disregard for the court, a close bond with the Prince, the friendship and loyalty of the Queen, and following Burke’s brilliantly delivered speech in a critical scene in the play, he obtains the ear of the King to become his right-hand man. Darrell D’Silva gives a strong performance and a gravitas to King Phillip. We recoil as he refuses to reconcile with his son who has begged on hands and knees for his father to consider the bigger picture, to send him to Flanders to establish peace in the land. Phillip's desire for destruction is clear as he sends the Duke of Alba, a bloodthirsty general, to Flanders instead and Posa’s plan for a brighter future is threatened. But it is the final scene, when Tom Burke arrives back on stage as the blind and aged Cardinal Grand Inquisitor, that we witness the power of the church, and the King as a broken pawn in this game of political chess. The play leaves you thinking how each man’s desires and selfishness have blinded themselves from a brighter, better future...bar Posa, the man who had a vision and tried his hardest to bring it to fruition. I thoroughly enjoyed this first production from Tom Burke and Gadi Roll’s new production company, Ara. It was a bold choice to open with and showed Ara’s commitment to showing non-naturalistic versions of classic plays. For some of the audience it was a step too far on the visionary highway, however I thought it was outstanding work from the entire cast to keep me enthralled for 3 hours on those theatre seats. (Now this is where people will say, but you’re a Tom Burke fan, you’re not going to be critical of him.) Well, to the naysayers, I bought a ticket for my partner on the last night of my holibobs. He didn’t know the story, is not particularly a fan of Tom, nor a fan of theatre. He enjoyed it and could see what Tom and Gadi were trying to achieve and was astounded at the bad reviews the so called professional critics were giving the production. His rating…7/10. There were issues with the sound. I understand what Gadi was trying to achieve with the characters speaking quickly at one another like rapid machine-gun fire, but the acoustics of the theatre did not allow the idea to work as imagined. I found the staging intimate, and quickly realised that having to actively listen meant I engaged more with the characters and the story. This was certainly a play I didn’t drift off thinking about what to make for dinner the next day. I’m not sure whether my ears tuned in quicker when I saw it for a second time, but I did find it easier to follow, with only two characters being inaudible for me (and that was only when they had their backs to me.) I think the speed of speech had been tweaked a little, and so it’s possible the combination of speed and having seen it before allowed me to ignore the sound issues until the rude and unnecessary interruption of a member of the public at the interval (see footnote). 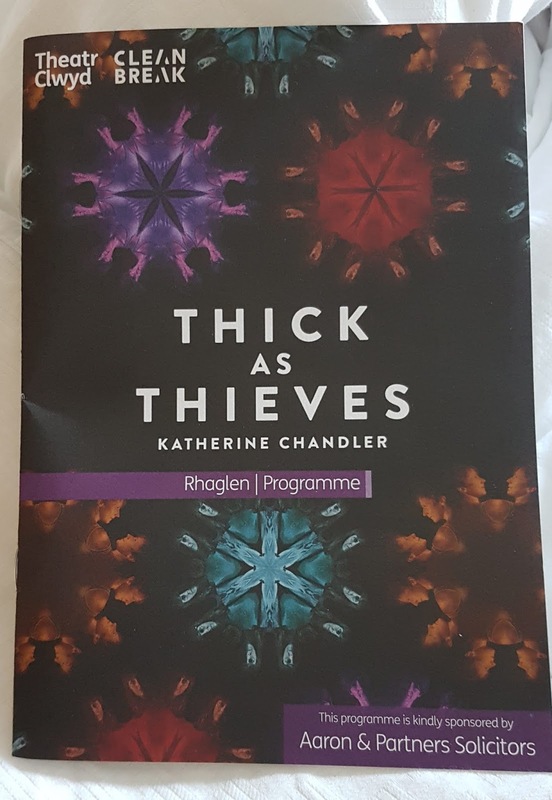 A few elements needed polishing, but I found the night an intimate, interesting and modern take on the passion, politics and power of the Royal Court. Having read some of the reviews, I felt like it wasn’t just the actors on stage wearing sunglasses, but also some of the theatre critics and audience members. Their judgements were clouded by not wanting to see the bigger picture, to not want to get involved by having to put a bit of effort in for themselves. They wanted the actors to do all the work, so they could sit back and be spoon fed the story as though they were watching some daytime TV drama. I enjoyed feeling slightly confused, unsure and uncomfortable as characters faced-off one another. It’s not a realistic drama, Schiller took dramatic licence with the story of the royal family (he even brought forward the defeat of the Spanish Armada and the decline of Phillip’s empire) and therefore I hold with the idea that it doesn’t need to be a naturalistic production either. Dramatic licence can be used in all its forms. And I find it interesting that Schiller felt the need to answer his critics in a series of letters explaining his play. I hope the same does not happen to Tom Burke and Gadi Roll. I hope they don’t feel that they must answer their audiences, but instead that they enjoy and are proud of their achievements instead. I’m going to see the production again as it draws to a close at Kingston, however, I’m now waiting with bated breath to see what Tom and Gadi have in store for their audiences in their next classic production. For tickets and information at Southampton and Kingston click on the links! Footnote to Wednesday 17th October production. On Monday night, having watched the play and then sat by the front door waiting for my taxi, Tom appeared, said hello and we started chatting. I told him I’d enjoyed the play, but there were times I couldn’t hear a thing…and I was sitting on the front row! I wasn’t sure how the problem could be cured, but something needed doing as that was the main criticism I heard from people around me. Tom explained that if they had the audience on both sides of the stage (the stage running down the middle) the actors would be more audible to the audience, but they couldn’t do this seating arrangement in this theatre. On Wednesday, during the interval, just before the actors took to the stage, a man appeared and asked for a show of hands as to who couldn’t hear. At first I thought he was a member of staff – then I realised it was someone who wanted their little moment of glory. After his outburst, Tom Burke came out and addressed the audience – a brave move, and one I was proud of him for. He explained that they had cut 60 pages of text from the play and it was still 3 hours long at the quick pace the show runs at. If they slowed down the delivery, the play would take longer than King Lear to get through. I was glad that he was able to defend the play and the directorial choices that had been employed, but also allowing the man – a paying consumer- to have his opinion. I was chatting to someone recently…they thought I read a lot; this amused me as I don’t think I read much more than most people. They also pointed out that once upon a time, if I read a book I thought people would find interesting, I shared it here on my blog and I should consider doing that again. 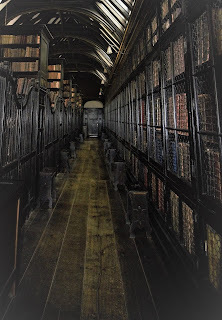 Apparently, it had helped them pick some books that they would never usually consider, and they had really enjoyed them. So that was a nice thing to say...and so here I am with a bit of a book blurb! I’ve been eagerly anticipating the fourth instalment of the Cormoran Strike novels; I wanted to know what happened next in Strike and Robin’s journey. I picked the book up on its day of release and started reading. By day two it was finished and I tweeted I had enjoyed it but thought it a bit long-winded. The reaction was mainly surprise that I’d finished it, rather than the “how dare you say anything against JKR” but I think that was possibly more to do with the fact that most people were still reading the book at the time. Now they’d probably turn on me and say it was the perfect length! 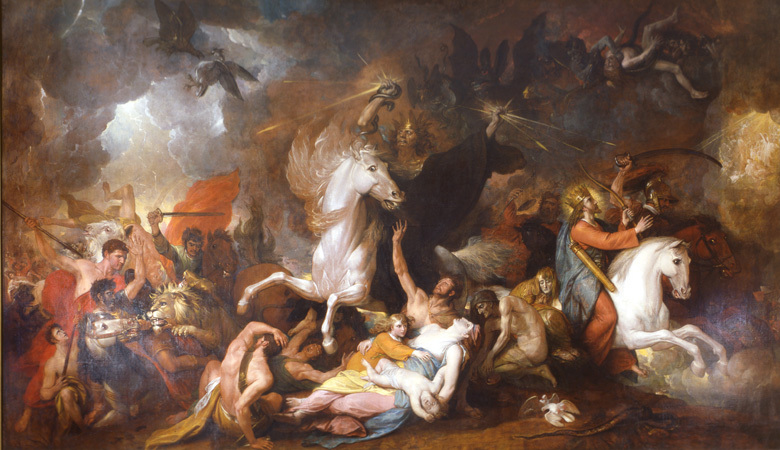 Before the book was released, Robert Galbraith/J K Rowling posted various teasers on Twitter, from headers showing a wooden anatomical horse (which artists use for form and perspective when drawing) Benjamin West’s painting “Death on a Pale Horse” a reference to the biblical passage from Revelation “And I looked, and behold a pale horse: and his name that sat on him was death,” to a picture of a USB stick in the shape of a white horse announcing the book was finished. All of these pictures made me think Lethal White would be set within the confines of the equestrian world. I was rather excited, as a child I had an encyclopaedic knowledge of all things equestrian; if I couldn’t have a horse as a child, I would damned well know all I could about them for when I’d grown up! Overo lethal white syndrome is a fatal, inherited condition found in horse breeds with white coat patterns. It is probably most renowned in the American Paint Horse, but can also be found in miniature horses, Thoroughbred and part-Arab horses. The affected foals are born with a white (or nearly pure white) coat due to a lack of melanin-producing cells, plus an impaired intestinal tract. At birth they look like any normal white foal (not all whites foals are affected by OLWS by the way) however as the infected foals cannot digest food properly down the intestinal tract, once they start to drink the mare’s milk they start showing signs of severe colic. An affected foal can usually show signs within the first 12 hours of birth and death can occur with 48 hours as the abdomen distends and becomes increasingly painful. There is no cure for OLWS and so the kindest thing is for the foal to be euthanised. 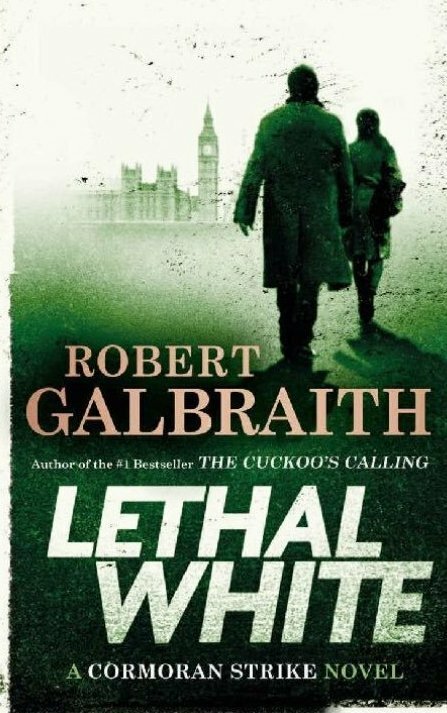 It seemed an odd title for a book, naming it after such a horrendous condition, but then the promotional excerpt about Lethal White came out…”I seen a kid killed…He strangled it, up by the horse.” Hmmm. Nope. 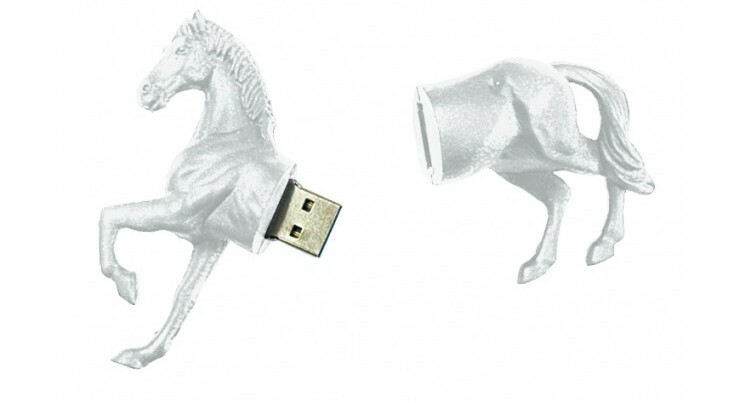 OK, so probably not a story set in the horse world at all…up by the horse could be anything. 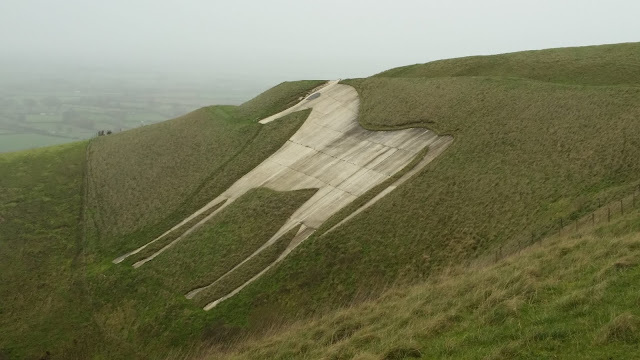 A pub (let’s face it, there are a lot of pubs called The White Horse) or perhaps a famous British landmark…a chalk horse (there are plenty of them cut into British hillsides…from the Kilburn White Horse in the North York Moors National Park, to the Westbury White Horse of Wiltshire and beyond.) There was only one way to find out…read it! The first thing I noticed flicking through from cover to cover was that each chapter starts with an excerpt from Henrik Ibsen’s Rosmersholm. Ibsen's politically biased play covering scandal, corruption and an unhappy marriage (the characters in the play being based on the real life elopement of a fiesty young countess who ran off with the husband of one her relatives, a Swedish poet, who were guests of Ibsen for a short period.) One of the themes in the play is the folklore of the White Horses of Rosmersholm. The play was originally written under the title White Horses and later changed to Rosmersholm, so it was a tangible use of his work in her book. I guess the book relies on both the crime element, and the romantic notion of Strike and Robin’s relationship, but I thought it took too long for the book to really get started…it was a very slow burn and it wasn’t until I’d got to about the 24th or 25th chapter that I actually thought the book took off. 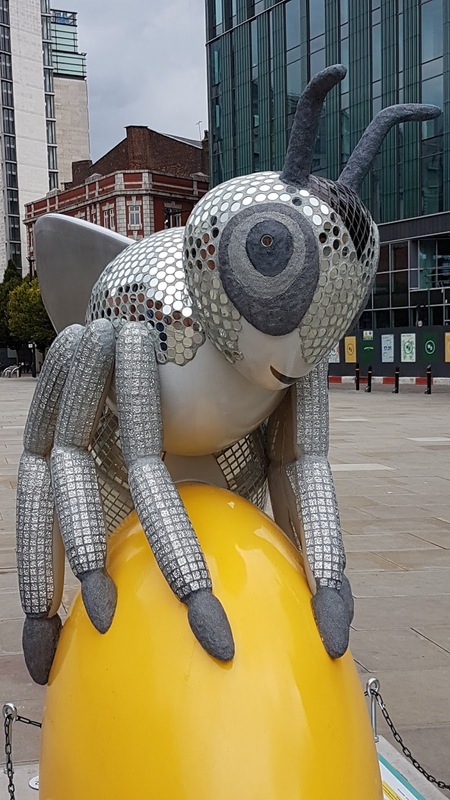 Strike’s success in a Career of Evil has meant that his agency has grown and he is now able to employ some contract staff to assist him with investigations. He receives a visit from a young man, Billy Knight, who claims he witnessed a murder and the burial of someone when he was younger. He’s an agitated character with a history of mental illness, and he runs from Strike’s office before identifying himself. Strike however catches up with Billy’s brother Jimmy, an activist opposed to the up and coming 2012 London Olympics, who tells Strike his brother is an unreliable personality and not to be believed. 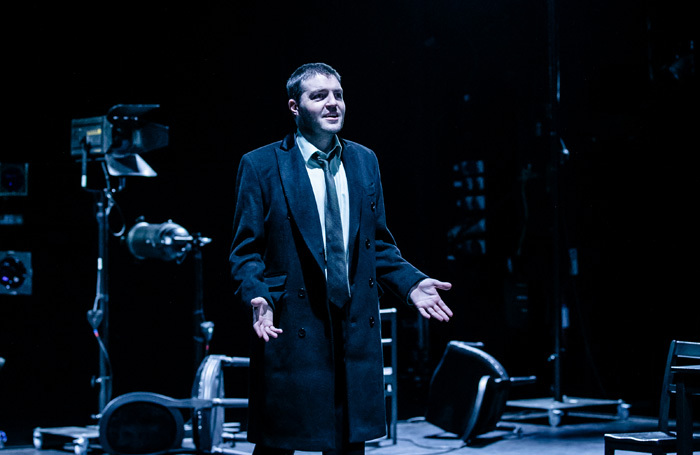 The meeting of Jimmy and Strike is noticed by Jasper Chiswell – the Minister for Culture – a politician plagued by scandal who, he tells Strike, is being blackmailed by Jimmy. Strike takes up the case and places Robin undercover at Westminster to find out what is going on behind closed doors. Robin, unsurprisingly, is not having the best of times with Matthew, and so is eager to accept her latest assignment. She meets a number of characters including Geraint Winn, the husband of the Minister for Sport (Della Winn) who wishes to destroy Jasper’s career…however, whilst undercover, Robin finds out that there are other things he’s guilty of! The plot weaves back and forth through a myriad of characters which we are introduced to in Rowling’s distinctly verbose style. 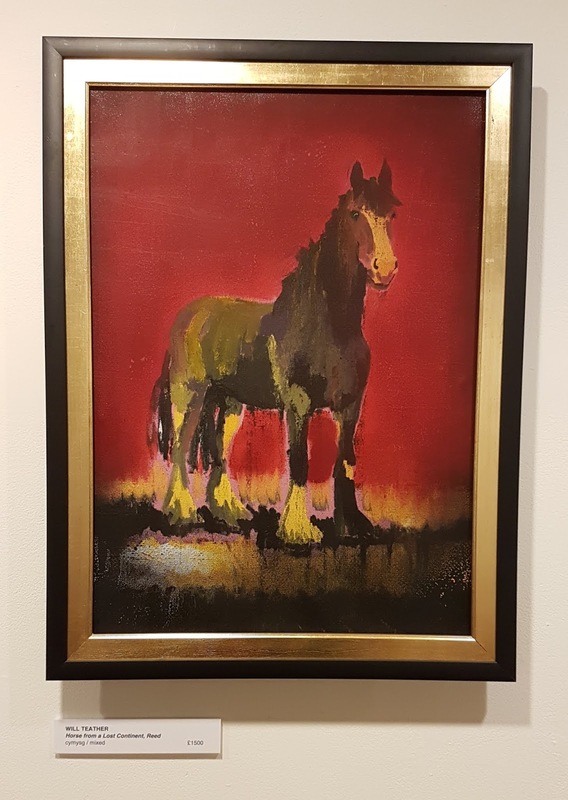 As the investigation continues, Strike is drawn to a painting, possibly painted by the Liverpool artist George Stubbs of a horse mourning the death of her foal (which has died of lethal white.) 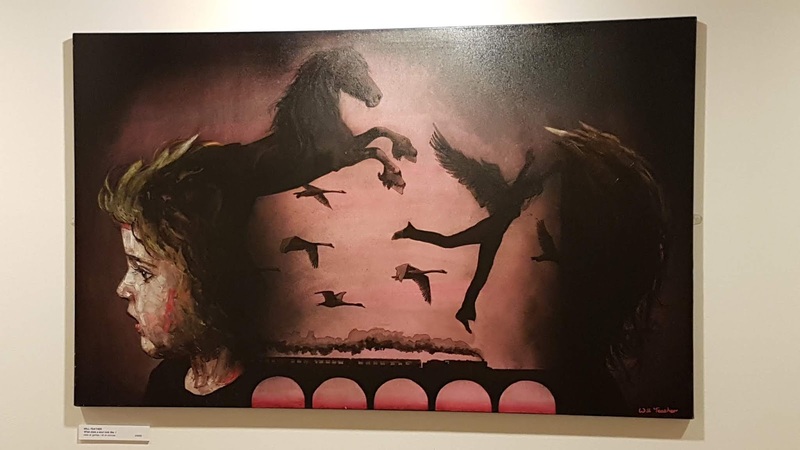 For my A-Level art exam I had to write a thesis, my subject was Equine Metamorphosis…looking at the changing face of the horse from Albrecht Durer to Franz Marc. As someone who had easy access to the Liverpool art galleries, George Stubbs featured a lot in my research, although I can’t ever remember seeing a painting matching the description in the book! But that is neither here nor there, JKR has done her research and embedded as many horse connotations into her book as possible. By the end of the book I was full of mixed emotions. I enjoyed being reacquainted with Strike and Robin. JKR has created two beguiling characters that you can’t help falling in love with. I enjoy a good crime/detective novel, and in essence these books do have a skilfully weaved storyline but I just wish there was tighter editing. All characters, including incidental characters, are described in so much detail that the flow of the story wanes. I also got the feeling that JKR was distracted when writing the book, there is repetition in some areas and mistakes in others, and I found it unnecessary to keep describing Strike’s missing leg in so much detail so many times. We’re meant to believe that Strike is not defined by his injury, yet at every given opportunity a paragraph will be given to how he lost his leg. For an audience with the intellectual capabilities of processing a passage of Rosmersholm per chapter, the author should trust the same audience to remember (if you tell them once per novel) how Strike sustained his injury. As the story progresses it is perfectly acceptable to say the pain shot down Strike’s leg as an adequate reflection of when he is suffering, rather than the pain shot down Strike’s missing leg which he had sustained…blah blah blah. The constant reminders just irritated and distracted me. Despite my grumbles, I did enjoy the book! I’m looking forward to the TV adaptation (Tom back on my telly…of course I’m looking forward to it!) and I have a great desire to find out what happens in the next stage of Robin and Strike’s journey. I just hope that we might get to see some more of Shanker in book 5…I do like him!